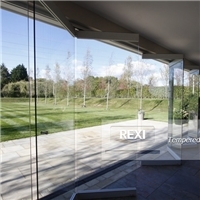 REXI GLASS-China Tempered Glass premium manufacturers and suppliers. 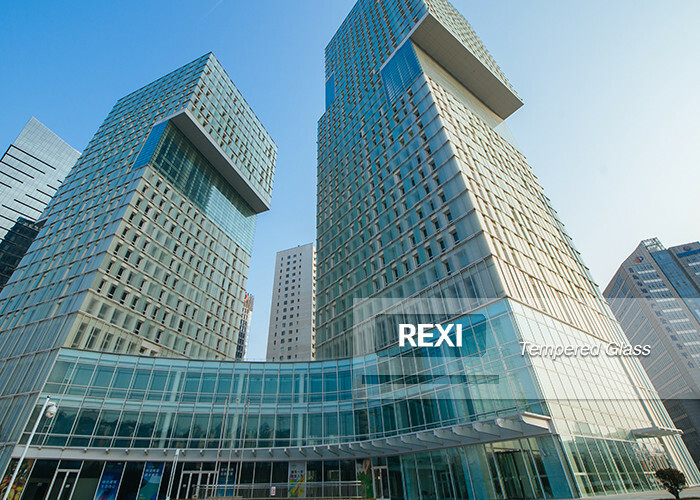 We are dedicated to provide advanced glass solutions to curtain wall, windows and doors, etc. 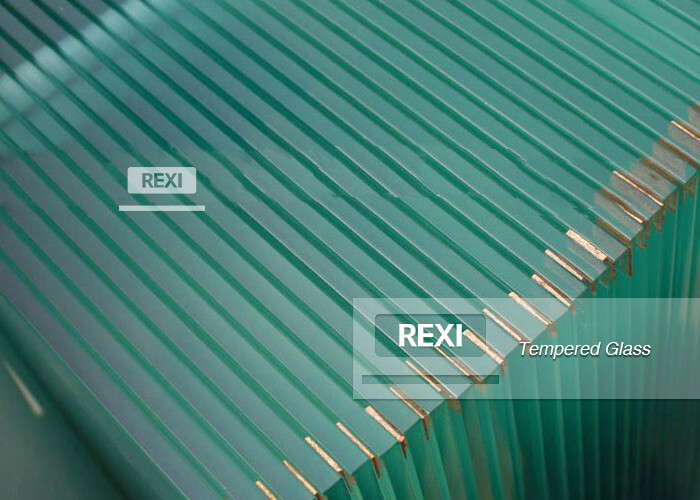 REXI TEMPERED GLASS is made by heating flat glass to just below its softening temperature (650 centigrade) and suddenly chilling it with jets of cold air. It results in the outer skins under powerful compressive stress and the interior with severe tensile stress. In consequence, the impact applied to the glass will be overcome by the compressive stress on the surfaces to assure safety of use. It is ideal for areas with high wind loads and areas where human contacts are an important consideration. 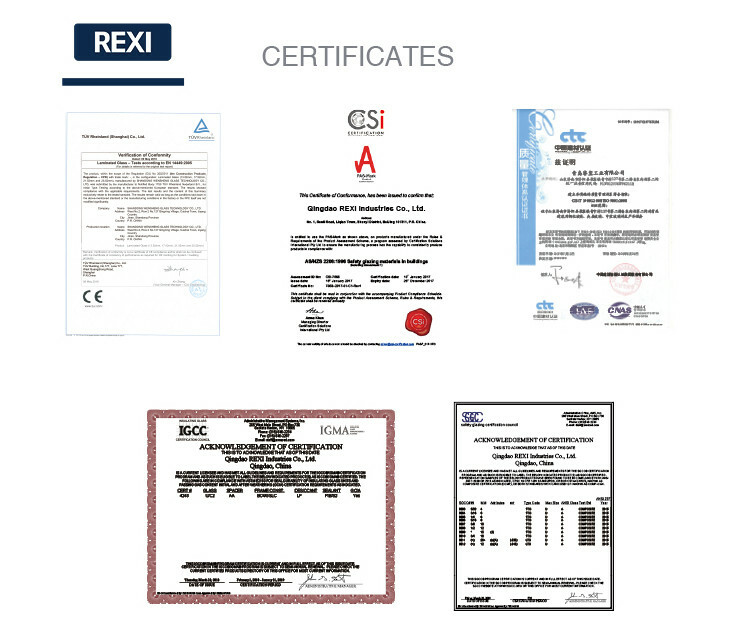 It is the perfect option for architects who must meeting building codes and toughened and strengthened for safety requirements. 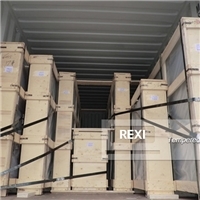 Guaranteeing quality, the material used in the production quality should be determined by both China tempered glass supplier and costumer. 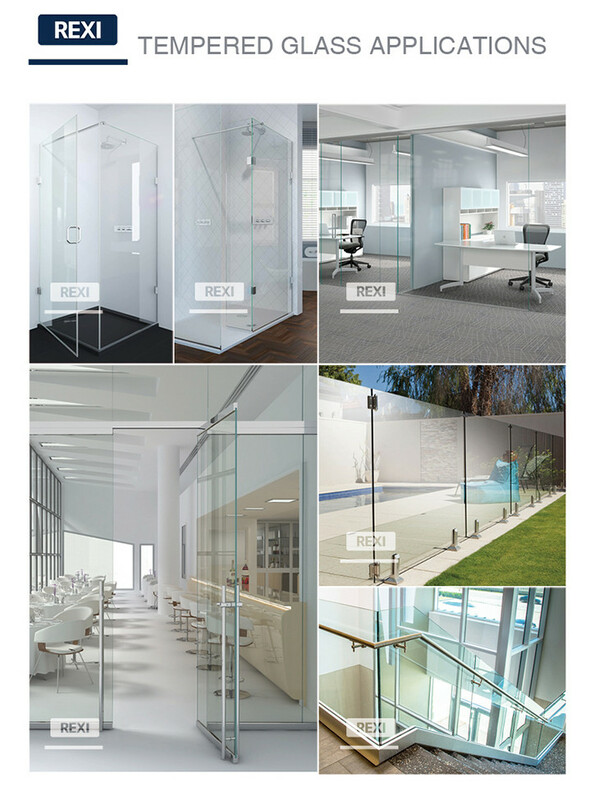 It is available in all of our standard float thicknesses and sizes, thus the tempered glass price is decided by the different thickness. 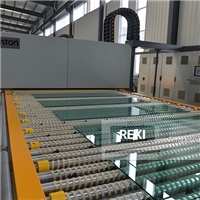 Tempered glass is a kind of prestressed glass. Through physical or chemical methods, uniform compressive stress is formed on the surface of the glass, and tensile stress is formed inside. 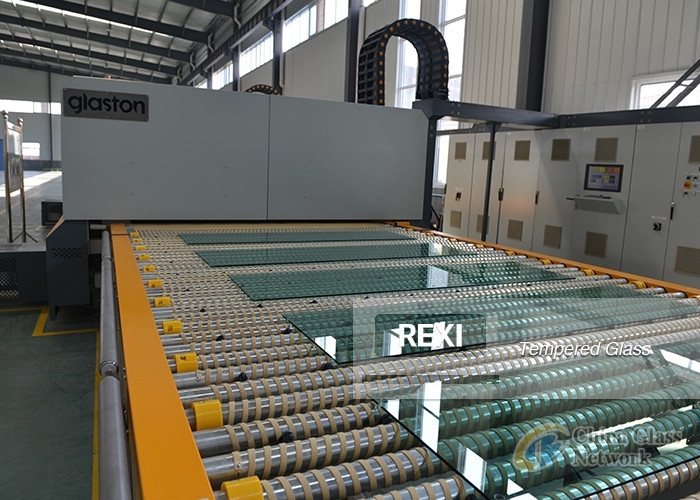 It is the presence of such steel stress that can effectively organize the microcrack propagation on the glass surface, so that the tempered glass has high mechanical strength, good thermal stability and safety performance. 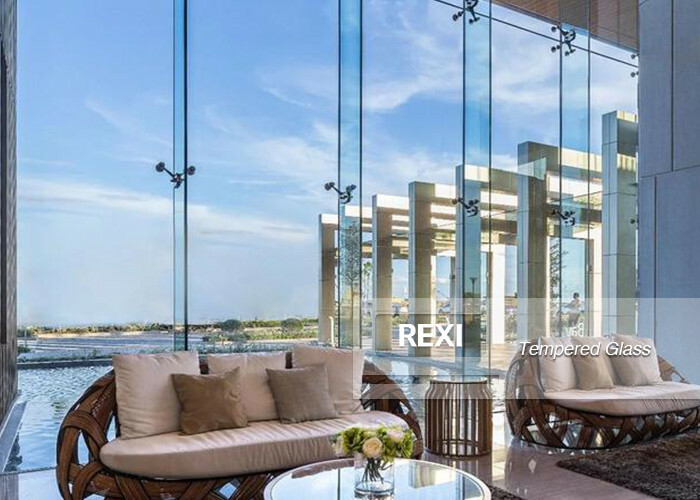 1.5 times harder than ordinary float glass, stronger resistance to thermal breakage than annealed or heat strengthened glass. 2.Once breakage occurs, the glass disintegrates into small cubical fragments, which are relatively harmless to human body. 3.It withstands abrupt temperature change of 220 Centigrade. 4.Sizes are produced as per customer request. Once tempered, it can not be cut down. 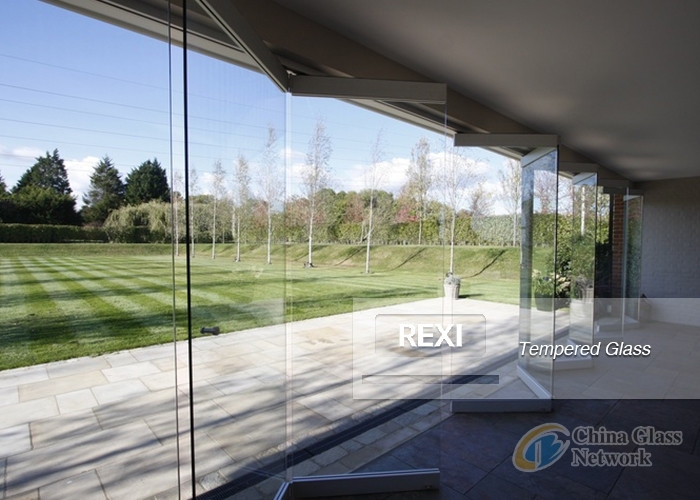 Glass has been widely used as an optical material for its high transparency. In recent years, with the continuous advancement of glass technology and the continuous development of glass properties, the application field of glass has been expanding. As a kind of heat-resistant and impact-resistant glass and high softening temperature, toughened glass is an ideal window material for high temperature and high pressure pipes, vessels, liquid level gauges and instruments. 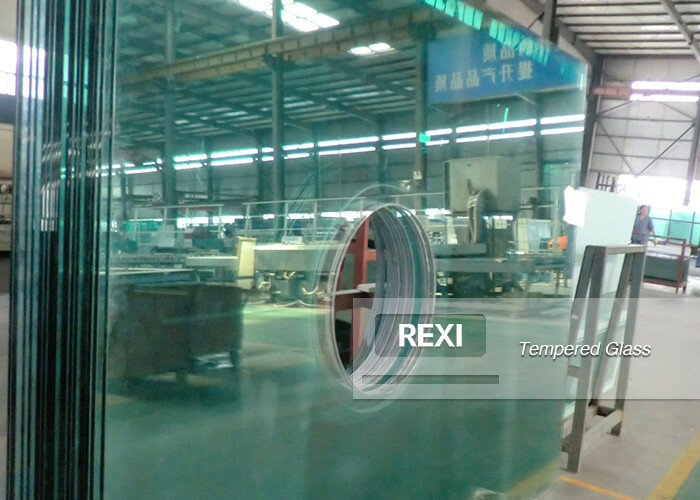 China REXI tempered glass can avoid potential cuts and injuries as a result of broken glass. It is widely used in all doors (sliding, swing, etc. ), windows' shower enclosures, partitions and elevator enclosures, curtain walls and storefronts, automotive windows shields, also widely used in chemical, scientific experiments and other fields. 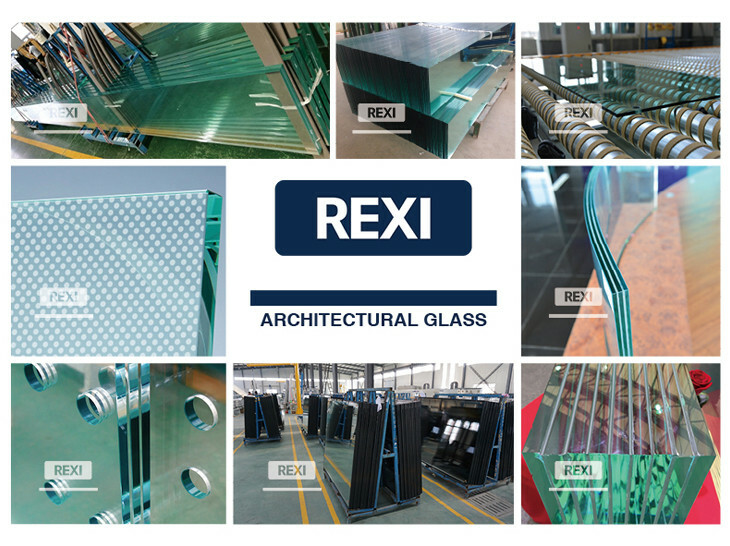 As one of the most important China tempered glass manufacturers, REXI adheres to the concept of high efficiency and perfection to provide customers with quality products. 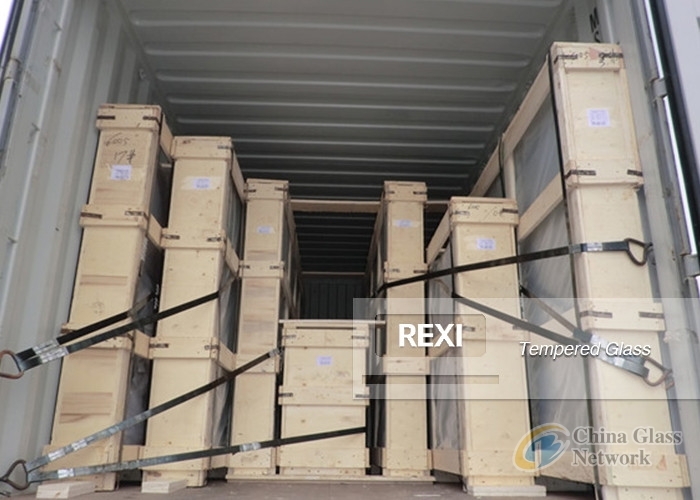 REXI Glass comply with China GB15763.2; Europe EN12150-1; USA ASTM C1048; and Australia AS/NZS2208. Glass Colors: Clear, Extra Clear, Bronze, Grey, Blue and Green, etc. Thickness: 3mm, 3.2mm, 4mm, 5mm, 6mm, 8mm, 10mm, 12mm, 15mm and 19mm, etc. Inquiries will be responded within 24 hours by professional sales manager. In Three weeks after order confirmation.